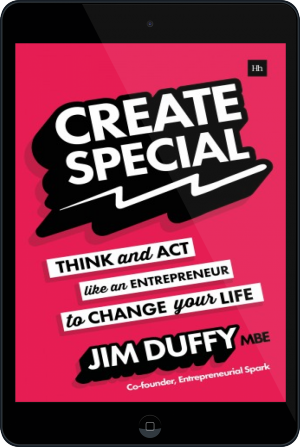 Jim Duffy MBE is the co-founder of Entrepreneurial Spark, the world's largest equity-free business accelerator for new-start businesses. Entrepreneurial Spark has 13 hubs in the UK and four in India, from where it enables over 1,000 entrepreneurs annually. 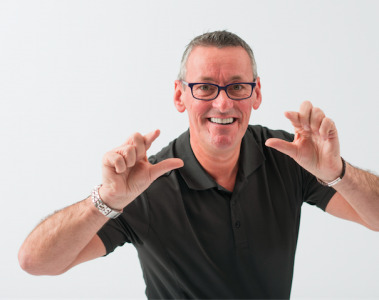 Jim Duffy has helped thousands of people realise their dreams in business with his start-up accelerator Entrepreneurial Spark. In his first book, he's here to help you do the same. 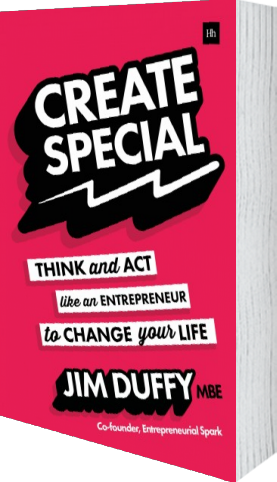 Create Special reveals the secret sauce of successful entrepreneuring® - showing you exactly what it takes to train yourself for success as an entrepreneur and in life. "The book is overwhelmingly positive." "There are many impressive tips for any potential entrepreneur." Predictions! Predictions! Predictions! ... My prediction for 2018 is that cryptocurrency will explode.